"Project find you when you're ready to express them. That's what I find. The ones that you're drawn to are the ones that, for some reason, you have just experience something very similar or something in your past is lit up by this. The idea of being hit by a freight train in life and trying to hold on. The search for who we are and what's an authentic person. The search for identity is a theme that's always attractive to me. There's definitely something in this piece that calls me." "In one scene I had just hid behind the door and I remember looking over at Stacy Keach on the other side of the door and on action we were both supposed to burst out through the door and run for the car. I was on one side of the door where the gun and he was on the other side of the door with a gun and he looked at me and I looked at him and just for a split second there was a really conscious kind of connection over the idea that we are grown man, pretending to have guns, and that we're going to run into a spray of gunfire. It's really ridiculous and it's really never felt like anything but that since." 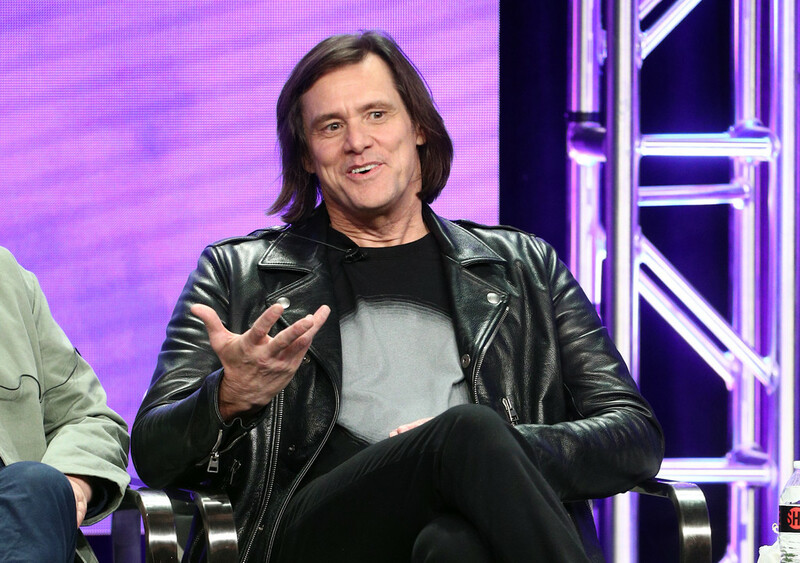 In the series "Kidding", he will play Jeff a.k.a. Mr. Pickles, the host a children TV show, that after a tragedy, he suffers an emotional collapse that changes his public and personal life. "It's about what happens in the lightning storm when you get hit when the family gets hit by lightning and lightning is meant to be. There's something about it that's meant to be, that is craziest, hairiest blessing that could ever happen." 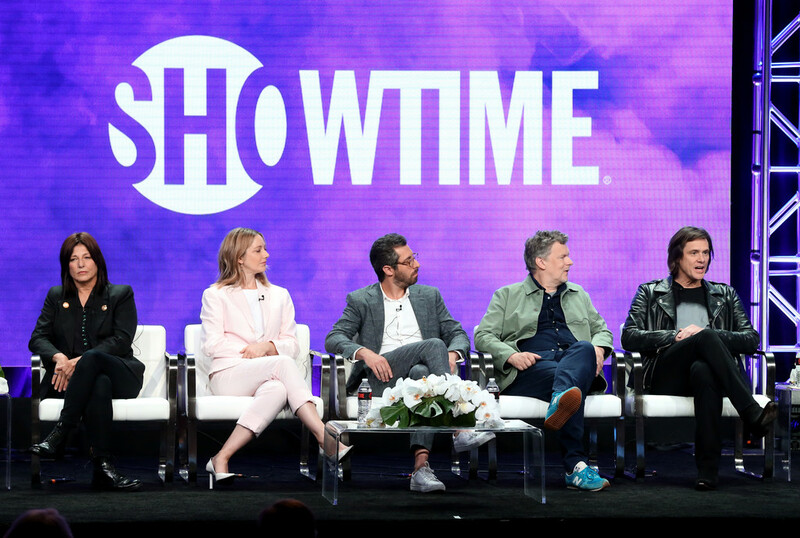 Carrey, also mentions that while his character has something of a breakdown, the show is actually "about a nervous breakthrough and that the show touches on the idea of "trying to hang on to the idea of the self." "Jim Carrey didn't exist at that time. The true author of the project it's Andy and his genius. The fact that he committed so completely to what he did really made that possible and made it essential for me to lose myself. I found myself subjugating Jim Carrey for Andy Kaufman and Tony Clifton and then, at the end of it, looking for Jim Carrey again and having trouble finding him. " The director for some episodes of the show is someone very known to Carrey, since they have work together on "Eternal Sunshine of the Spotless Mind" and he will bring his whimsical, dream-logic visual to the project. Michel Gondry is amazing, and he pointed out that Jim "didn't always like my methods" on Eternal Sunshine at what Jim admitted: "You learn to trust somebody and that had a lot to do with it. "one of the things that question before... I realized he had a vision." "There are so many choices, so many ways and forms to do things in now, it's just take your pick of the litter in regards to where you want to go. The hardest thing is cutting through the clutter. The only hope of cutting through the clutter these days: you must go bigger than everyone else or you're lopping ten heads off per episode or you hit a nerve and touch people in a place that's real. Because nothing gets to the back row like truth- If the truth is in there, people will be interested. They want to see themselves, they want to see their own truth."